Orchestral Manoeuvres in the Dark (often abbreviated to OMD) is a synthpop group whose founding members are originally from the Wirral, United Kingdom. OMD record for Virgin Records (originally for Virgin’s DinDisc subsidiary). The group was founded in 1978 by Andy McCluskey and Paul Humphreys, after they had been involved in several bands, including The Id. Later drummer Malcolm Holmes and saxophonist Martin Cooper joined. 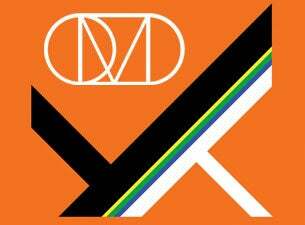 Read more about Orchestral Manoeuvres in the Dark on Last.fm. Here are some industry leading presale databases we recommend you use if you're in need of a OMD presale password to buy early tickets to see OMD performing live. Getting your tickets early is a great way to get great seating and secure your tickets before they sell out during the public onsale.